Work has started on our new million dollar external playground! 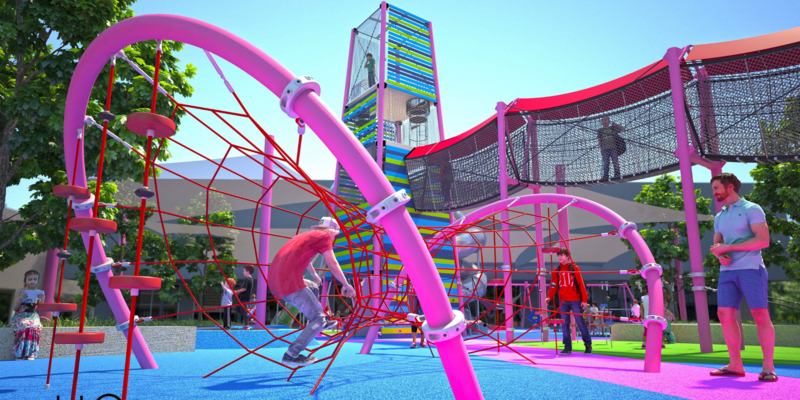 With inbuilt trampolines, an inclusive merry-go-round, custom parkour inspired obstacle course, and swings - all surrounding a mammoth three-story climbing tower and giant slide - kids of all ages will be bouncing, swinging and climbing to their hearts content. The children’s play area is scheduled to open in June 2019. We thank you for your understanding while we complete this upgrade for you.